The Brimblebanks Brothers are proud to present the first episode of The Inscrutable Brimblebanks Brothers’ Electronic Storytime, right here a nd now! 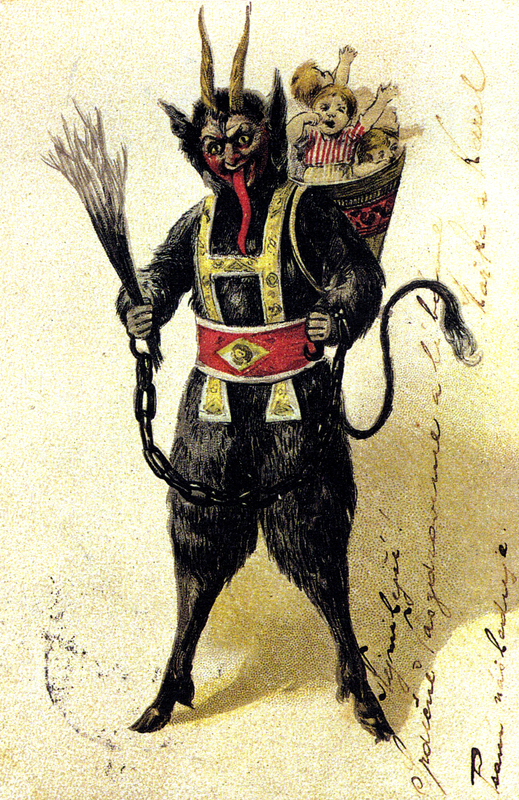 We’re starting things off with a dark tale of the yuletide season, entitled “Krampus and the Christmas Pirates.” It’s the perfect little holiday nugget to enjoy while riding in the sleigh to mother-in-law’s house, sitting down to wrap presents for people you know will only take them back anyway, or while slipping a little arsenic into the Christmas cookies you’re baking. This episode is written by Brodie H. Brockie and Justin Vidovic and starring Brockie as Bentley Brimblebanks and Vidovic as Jameson Brimblebanks. The voice cast includes Kelly Maryanski as Little Louisa; Jared Hoffert as Father Christmas; Patrick Johnson as The Krampus; Ricky Brigante as Captain Mistletoe; Scott Longpre as Mr. Frosty; Amanda Burch as Holly the parrot, the lady of the night, Teacher, and the Malaria Cousins; Ryan N. Wilcox as Father and the Elf; Chris Grimm as Father O’Flannagan and another role we’re not going to spoil ahead of time; and Hollywood Steve Huey also in a surprise role. The Voxbot 5000 appears as herself. This episode’s special musical guest is the great Wally Pleasant performing “Merry Christmas Time Again.” Go buy all of his albums on iTunes. You’ll thank us later. This episode’s commercial was written by Ramsey Ess of the Podcast “Wonderful, Thanks.” Go subscribe to it on iTunes now. The commercial stars David Melcher, with Chris Grimm, Amanda Burch, and Patrick Johnson. Ricky Brigante is the host of “Inside the Magic,” the popular Disney parks podcast that all the kids are talking about. This entry was posted in podcasts and tagged Brimblebanks Brothers, Brodie H. Brockie, Christmas, comedy, Holiday, Hollywood Steve Huey, Justin Vidovic, Krampus, pirates, podcast, Ramsey Ess, Ricky Brigante, Santa, story, Wally Pleasant. Bookmark the permalink.